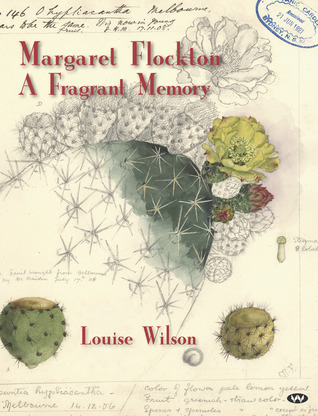 What indeed… In rescuing the story of the botanical artist Margaret Flockton (1861-1953), Louise Wilson has done a sterling job of celebrating Flockton’s remarkable achievements, but the woman herself remains a shadow. A self-effacing and very private personality, she can be known only for her legacy, and we have to be satisfied with that. It is an extraordinary legacy. Summarised on the website of the Royal Botanic Gardens in Sydney, Margaret Flockton’s career as Australia’s first and most celebrated professional botanical artist was full of firsts. Although she had a great champion in J.H. (Joseph Henry) Maiden, Director of the RBG (1859–1925), she worked in an era when women’s roles were circumscribed, but she nevertheless became professionally qualified and forged a career and financial independence. Opportunities came to Margaret because she had insisted on completing her education before leaving England three years after her sisters. Although it is not known how she supported herself in London, she attended various training schools in art, and gained entry to the National Art Training School in South Kensington. She was lucky in this because its superintendent Henry Cole was alert to the predicament of the intelligent middle-class lady and ‘the difficult problem of woman’s work. The art school enabled women to become qualified, not just as teachers of art, but in Margaret’s case for other employment. It was her professional qualifications that made the difference at the beginning of her career in fine art, and in Sydney as a commercial artist and as a botanical artist of Australian plants; at the end of her career it was her professional expertise that distinguished her work from her great rival Ellis Rowan, also a wildflower artist. You can see this beautiful painting on the SAG website. It was Margaret Flockton’s fate, like that of so many uncelebrated public servants, to leave a significant legacy of work unrecognised by all but a few, and it was not until 2003 (!) that the RBG got round to investigating her role in its collection of botanical art. If her work is on display, *sigh* the website doesn’t tell us so, and if I have any readers in Sydney, I’d appreciate it if someone who visits the RBG could let me know if they do. Prior to joining the RBG (as an underpaid ‘temporary’ who worked there till her retirement, pay rises granted only grudgingly as a result of J.H. Maiden’s constant badgering about it), Margaret Flockton also worked commercially, producing some exquisite postcards and also posters for a tobacco company. These works are now collectors’ items and impossible to find online but (as with all Wakefield Press publications of this type) the book is profusely illustrated with reproductions on high quality paper and the wildflower lithos series are full size on the page so that you can linger over them as I did. Flockton’s paintings – of still life and portraits – are also mostly in private hands so we must hope that one day there will be a retrospective where we can see them full size. But the one that interests me most is ‘The Fortune Teller’, a watercolour painted in 1900. (See here). It’s a full length portrait of a young woman, wearing a plain shawl and drab dress, but with a flower in her hair and playing cards in her hands and a coy expression on her face. It is a striking contrast to the chaste professionalism of the botanical paintings, and hints not at some spurious hidden love life, but at a liveliness of character or personality that remains elusive to the end, despite Louise Wilson’s best efforts. Lisa, I have a new email address. How can I change it for your blog without revealing it here? Hello Teresa, the subscriptions are done automatically by WordPress when you sign up so I can’t alter it. I think the easiest way to do it would be for you to unsubscribe the old address, and then resubscribe with the new one. what a remarkable woman she sounds and so courageous to battle against prejudice. I’m so pleased you liked the book, Lisa. Thank you for the hours you spent reading it and thinking about it. It took many years to pull all the strands of the story together and it’s rewarding to see my book now spurring renewed interest in Margaret Flockton’s life. Hello Louise, thank you for writing such an enjoyable book and your inspired choice of publisher! I don’t know of any other Australian publisher who gives books like this their due – I nearly drove The Spouse mad as I lingered over the pictures at the table and kept interrupting his reading with ‘Look at this one’… and ‘This one…’ and ‘Oh, look at this!’ etc. (We both read books over brunch, my mother would not be amused). Margaret’s artwork amplifies the case you have expressed in words – she should indeed be better known than she is. There is something personal in my remark about public servants not getting their due. My father, a research scientist, was nominated by his peers for the AO, but didn’t get one… He received many other awards but this omission still rankles with me because it was me they rang up to get the biographical details for the submission. So many of our awards go these days to sport and sports administrators, (20 years running Little Athletics etc) I can’t help but feel that many worthy people doing really important work are often overlooked, just as Margaret was. I agree with you wholeheartedly, Lisa, about Wakefield Press. They’ve done a wonderful job with this book, which Prof the Hon Dame Marie Bashir has described as ‘a gift to Australia’. I have to thank my agent John Timlin for his connection to WP’s publisher Michael Bollen and thank Michael Deves for understanding so well how to set up this book. I liked your insightful remark about public servants too. I’m not pleased with the way the Honours awards are distributed these days. Quiet, introverted but brilliant achievers just don’t get the recognition they deserve, with so much attention given to the noisy ‘look at me, look at me’ crowd. It was the same in Margaret’s day – her peer Sally Hynes joined numerous groups where she did a lot of talking about herself, and Ellis Rowan, and received an MBE. Margaret quietly beavered away, left a huge legacy of beautiful work of permanent value to Australia and was completely overlooked. C’est la vie. Yes, I think that’s true. I like to think that the work that teachers do makes a difference in building the confidence of girls so that they are better at standing up for themselves. The fact that Hynes and Rowan were women too makes no difference… the quiet achievers of any gender need to learn skills so that they aren’t swamped by the noise of others! Another unsung heroine.So many erased from our history.It’s wonderful to see them receiving their dues. Thanks Lisa for being such a supporter of these amazing women. And of course the author for her dedication to the culture of this wondrous land and its unique flora. And I thank you too, Fay.